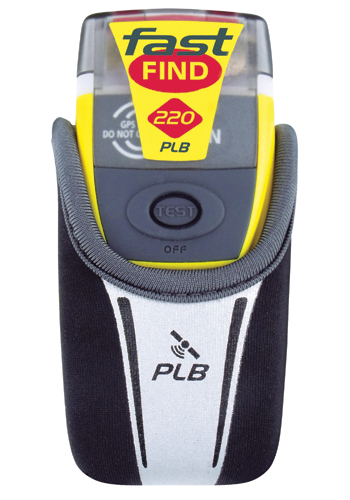 Fast Find 220 PLB - U.S.A.
Touch & Go Pilot Supply Homepage > GPS & PLB > Fastfind 220 PLB - U.S.A.
Fastfind 220 PLB - U.S.A. The FAST FIND 220 PLB, for use in U.S.A., relies on the 406 MHz frequency to transmit the user's unique ID and precise GPS location to the global satellite network. Within minutes search and rescue services (SAR) are alerted and continue to receive regular position updates. Once within range, rescuers can then home in on the beacon's second signal, a 121.5 MHz transmission, and find the user.